We couldn't do it without our sponsors. Have fun playing with your ECD stamps and dies. Arlene chose some different colors to pair together. You can see a close-up on her blog. Happiness is beautiful stamps and dies you received from me from Elizabeth Crafts!! 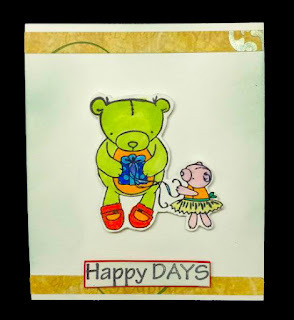 Sharing my recent cute mini card "Happy Days" made from Elizabeth Crafts supplies. 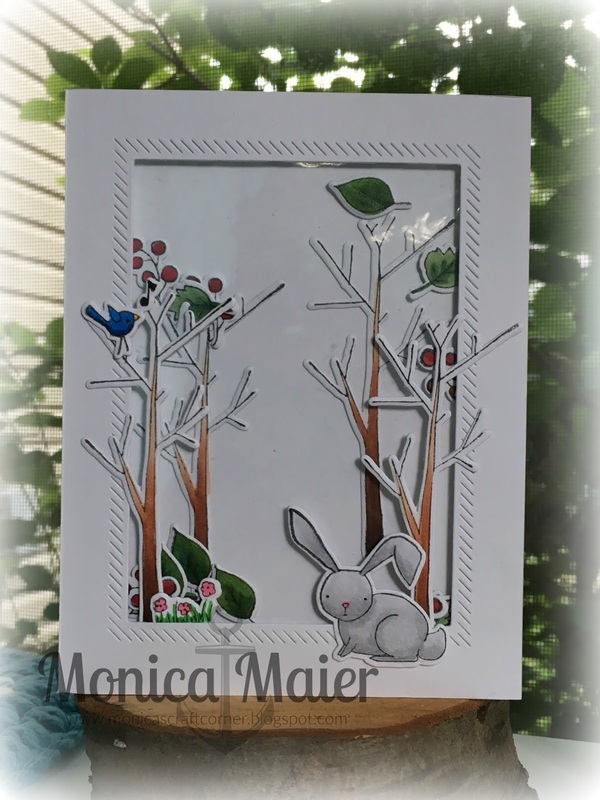 Cute die-cut, colouring, and playing with stamps is so fun!! Here is how my coloured die-cut looks!! Hi there.... well the month is almost over. Just a couple more days to enter our "Anything Goes for August" challenge. 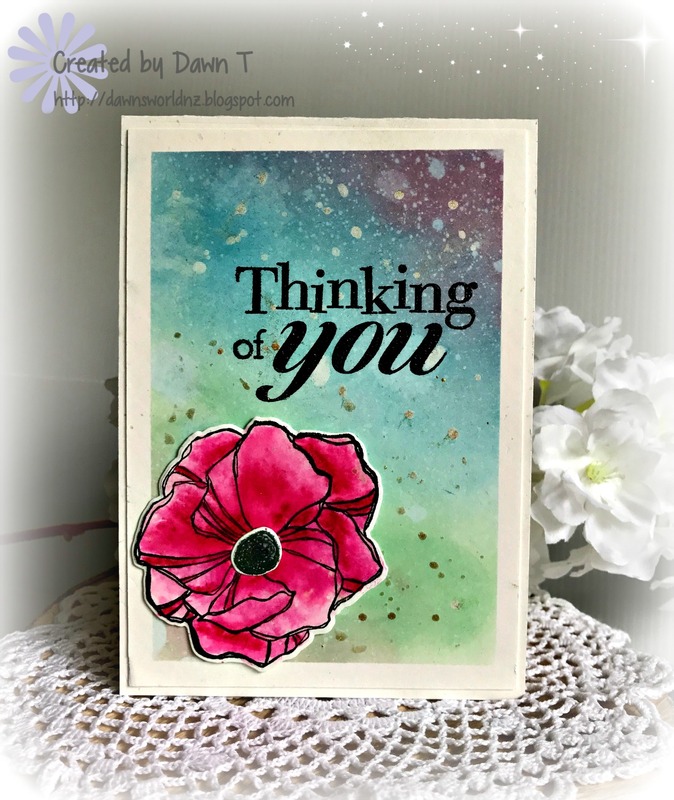 I stamped my flower and the centre onto some Canson XL Watercolour paper and used my Zig Clear Clean markers and a blender pen to colour. 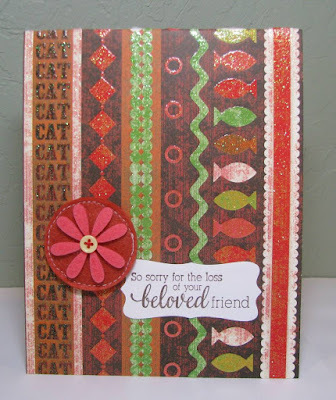 Once it dried, I cut it out with the matching dies. 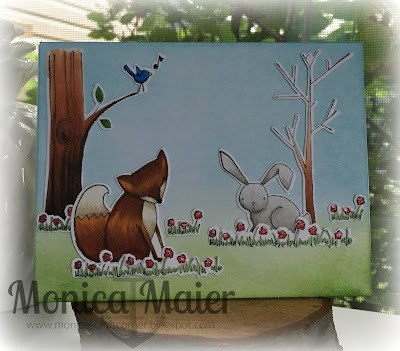 The background was made by masking off the edges of another piece of watercolour paper. I then sponged on some Oxide inks (Cracked Pistachio, Broken China and Worn Lipstick), flicked on some water and some gold CTMH sparkle pen dots. 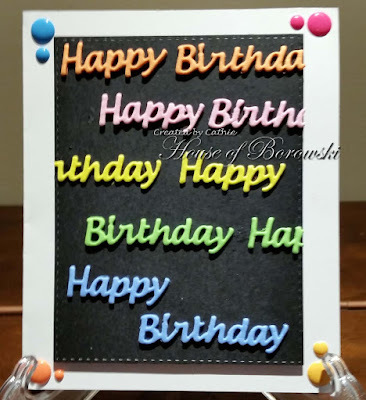 My sentiment is from Hero Arts and has been clear embossed over black ink. You can join our challenge HERE.. 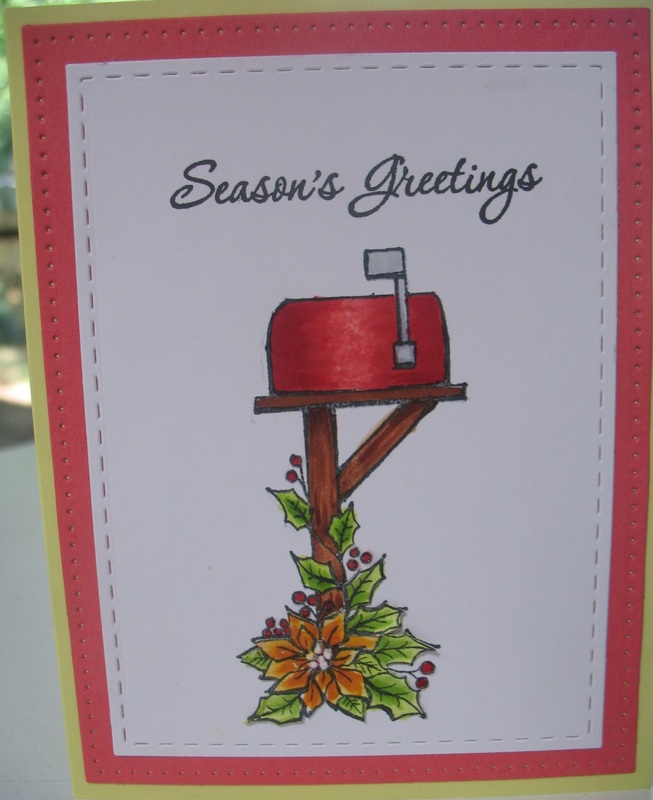 I know it's only September and too soon for sledding, but I thought this would make some boy happy, maybe some older boy whose birthday was near winter and he received the key to the car. Maybe? Whichever, I thought a blue and yellow card was the combo for me. I die-cut the sled parts and used floss for the reins for the sled. I've pulled apart twine so it would fit in the holes too. Whatever you decide to use, use something, because there is a greater impact and enjoyment of the finished sled with some kind of reins. I'm at A Bit of This and That. I thought this set was so cute. 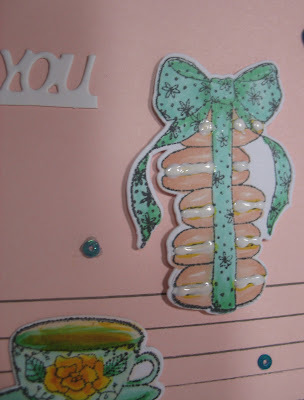 I love the macaroons all stacked up and tied with a ribbon. I had a lot of fun playing with this set. 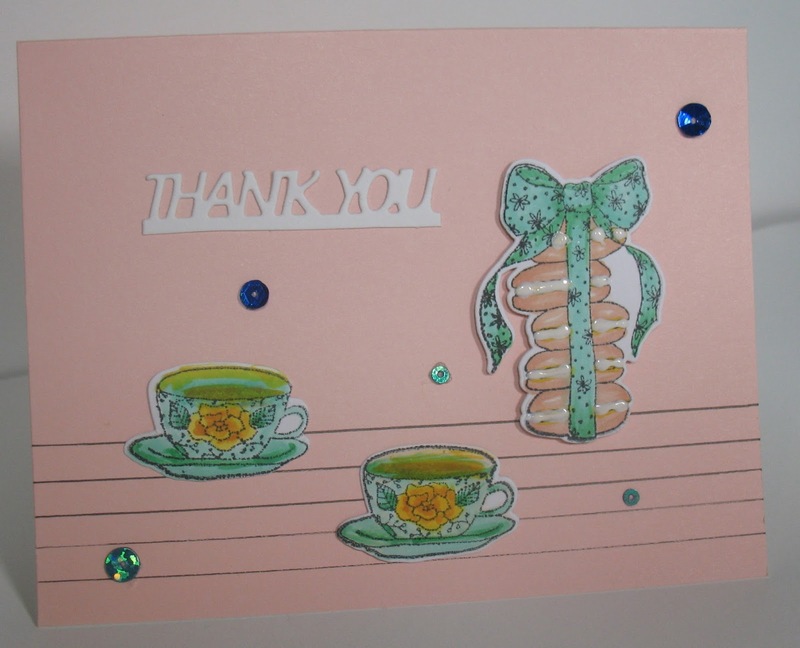 I just drew lines across the bottom third of the card and used the lines as if it were a table, sitting with two cups of tea with a snack. I hope you enjoy this unique set. A close-up of the macaroons shows some creamy white filling for the macaroon. I wouldn't eat this creamy filling though. It's Nuvo Crystal Drops Gloss - Simply White. But it's wonderful to see and looks like it is real filling. My blog is at A Bit of This and That. 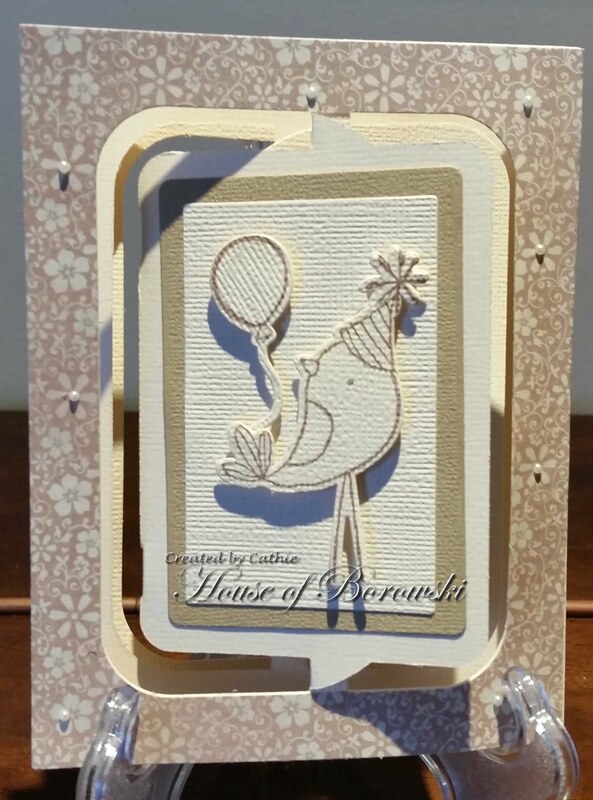 Cathie here with some inspiration featuring Elizabeth Crafts Design. 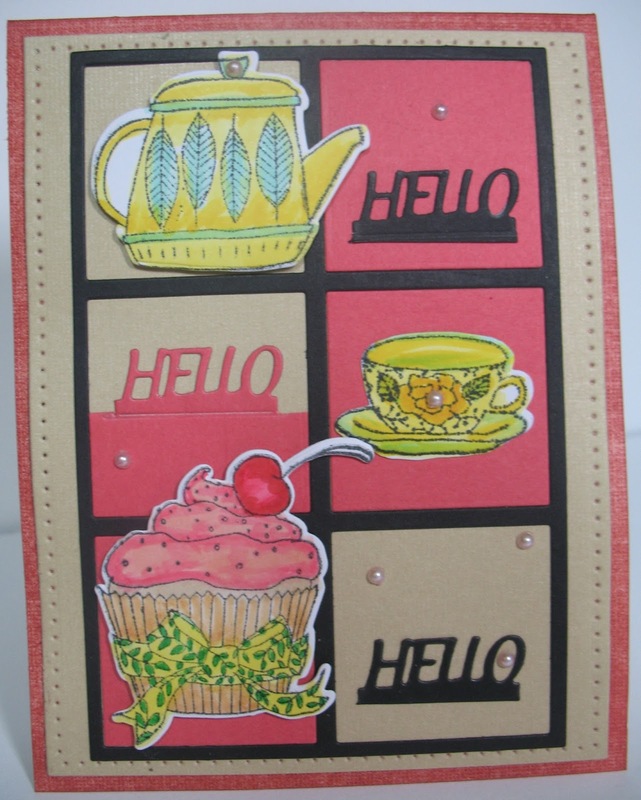 Not only did I use the matching stamp and die set Bird day Party, but I also used the accordion die as well. This is what I came up with. Monika here to share another "Anything Goes" project. 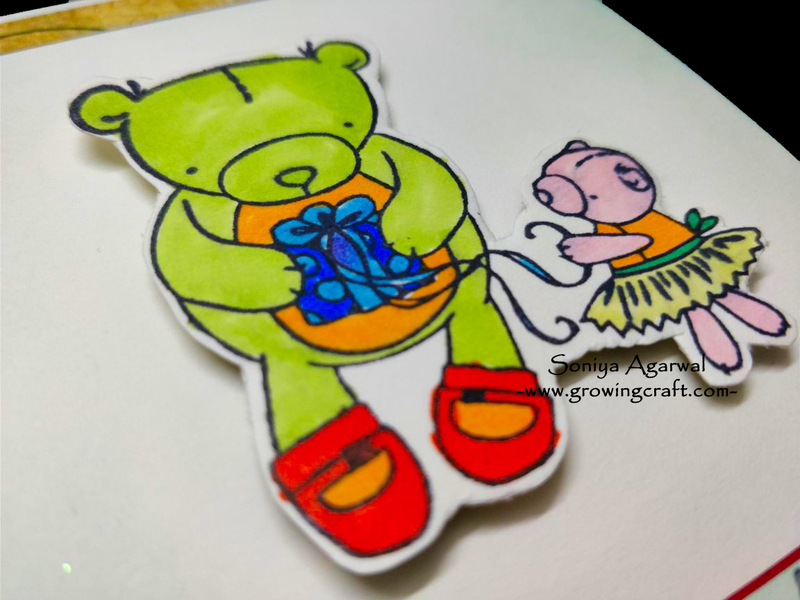 Come and join in to fun and make some "Anything Goes" projects!! 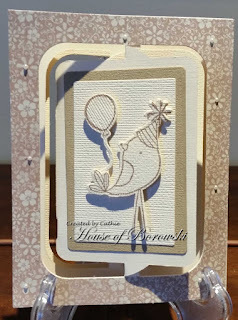 Monica here for another anything goes card sponsored by Elizabeth Craft. I went with a shaker card for today's post! 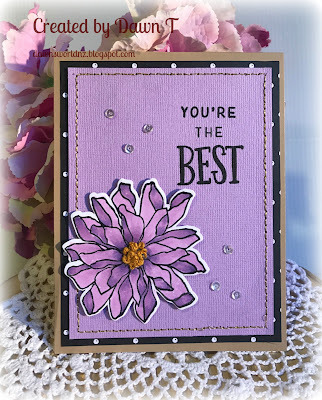 Visit Monica's Craft Corner to get the details on the card! This month at Die Cut Diva's our challenge is Anything Goes, so there is no reason not to enter! Just use a die cut! 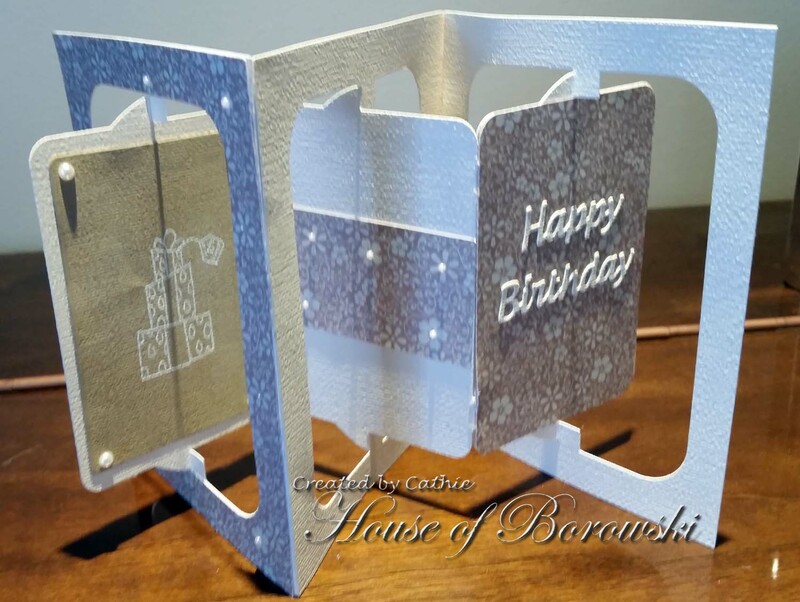 Prize: $25 gift certificate will be mailed to the winner. 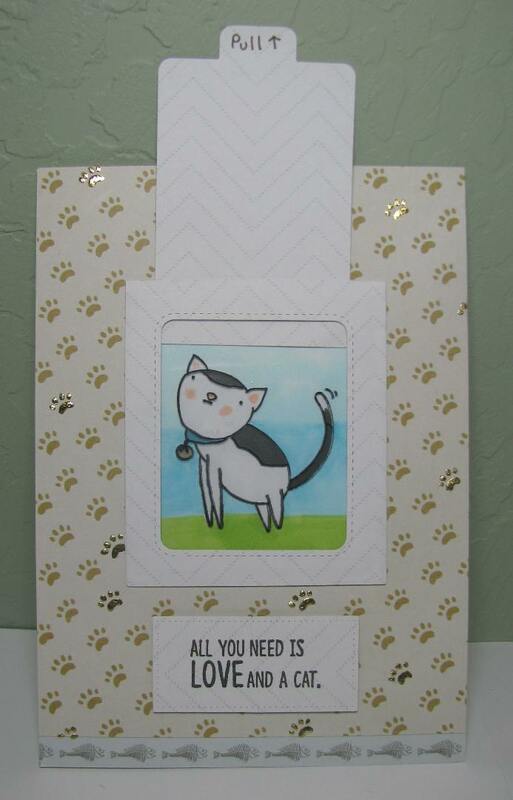 I love making my brother cat cards! 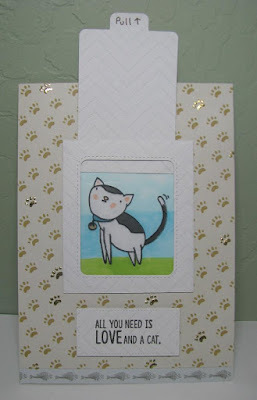 I used Purr by Elizabeth Craft Designs for the cat. 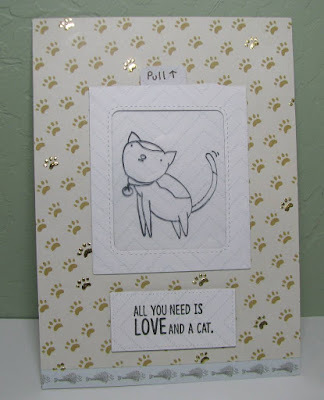 I added foil accents on random paw prints of the pattern. 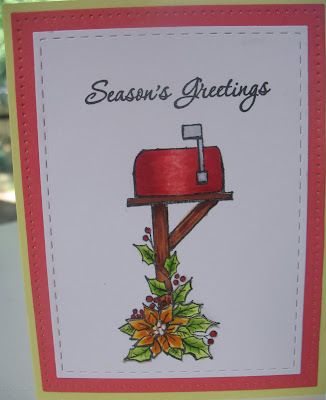 I'm going to add a "pull " stamp to my collection so I don't have to write it! For more information you can visit me here. Hi everyone, Cathie here with some more inspiration this month. 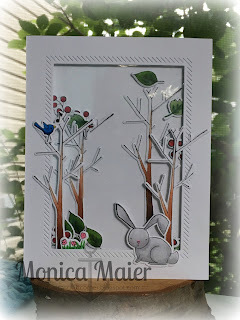 I have been playing with Elizabeth Craft Designs Bird Day Party Clear Stamp Set and matching die set. Here is what I have created. 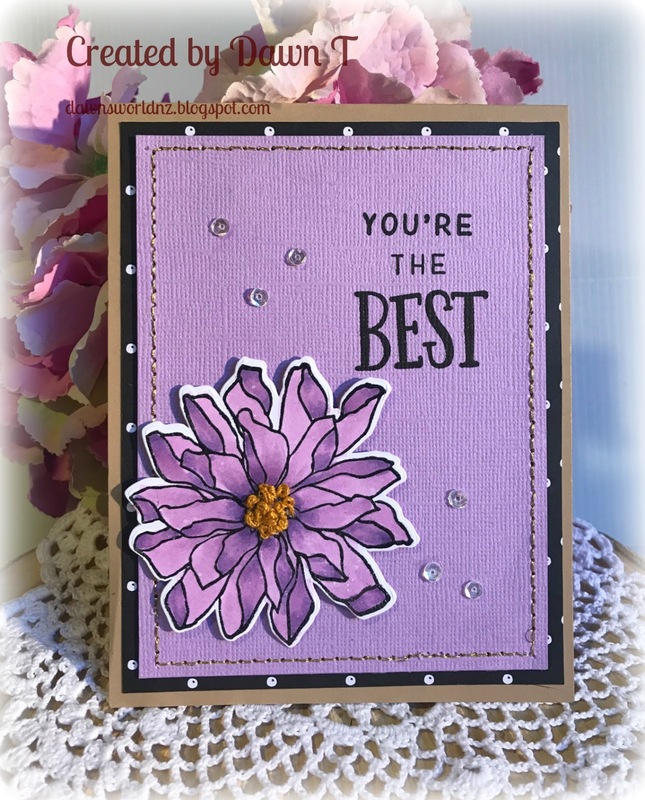 Don't you just hate that moment when you realise you need a card - like NOW.... for me it was for this inspiration post. 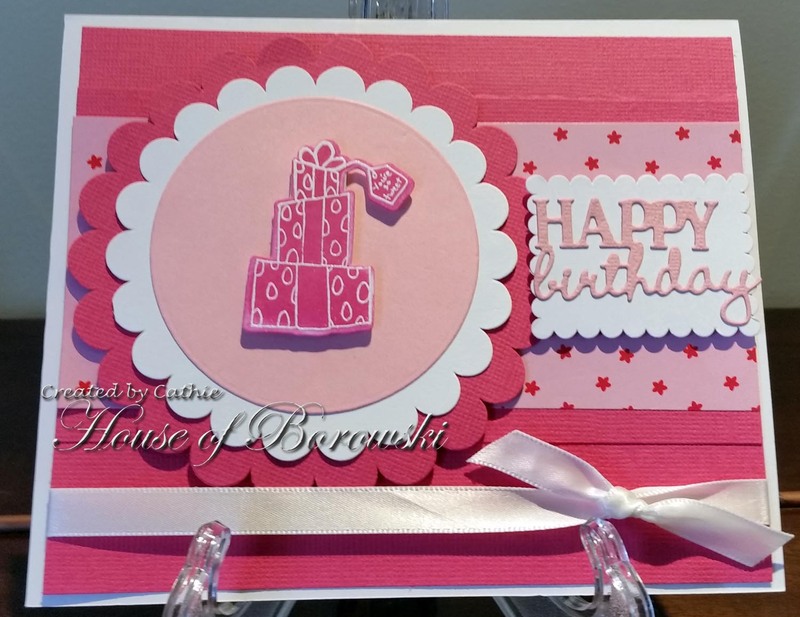 I thought I was up to date with my design team cards.... and suddenly realised that I was not prepared! 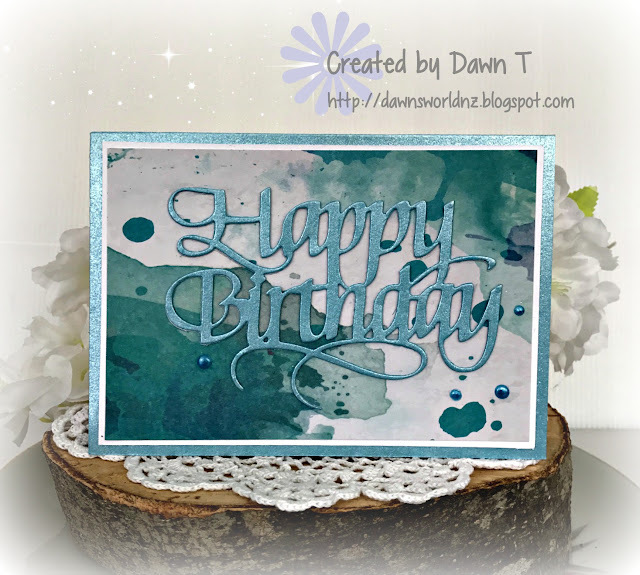 Some PP that looks like watercolour paper made for a perfect background to the shimmer card cut die. I did one layer white card and then one in the blue shimmer. Added a few hand made enamel dots in a matching blue and all done and dusted in less than 15 mins. Our challenge this month is Anything Goes. 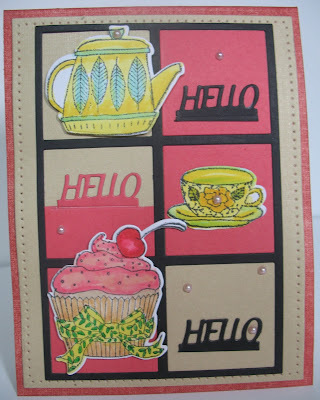 So pull out those dies and embossing folders and your machine or crank up your electronic cutter and have some fun. We love seeing all your beautiful creations. 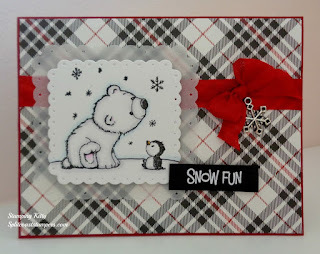 Monica here today to share my first card for our anything goes challenge featuring Elizabeth Craft Designs. 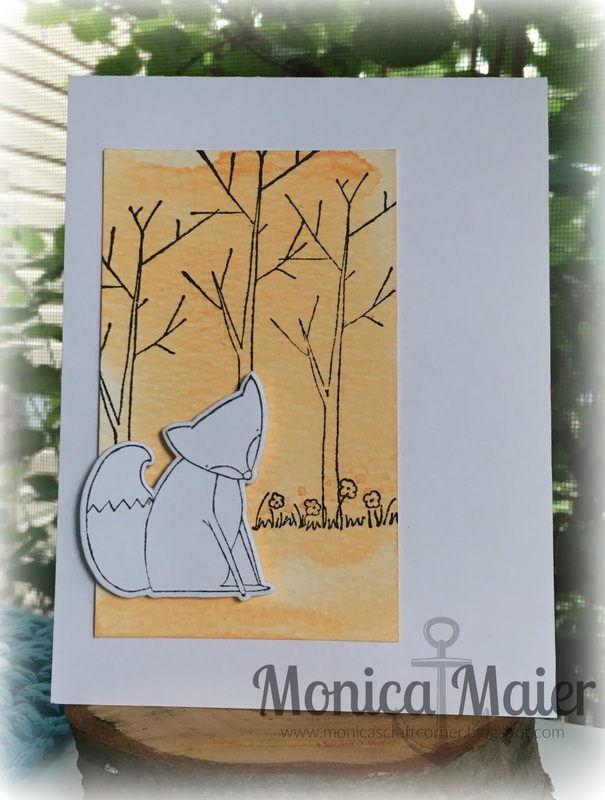 I will be using the adorable Woodland pals set all month to create 3 different cards. To see the details visit Monica's Craft Corner! Thanks for stopping by, we can't wait to see what you share with us! 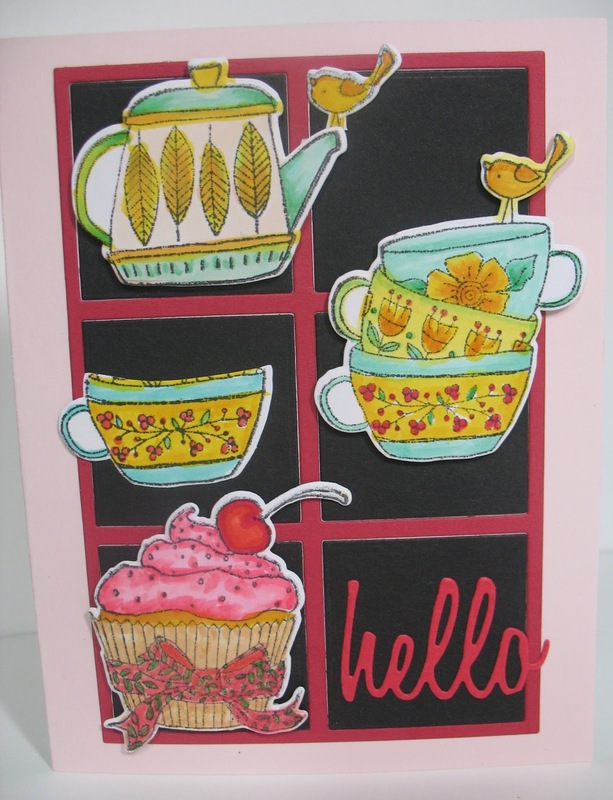 Elizabeth Craft Designs is our wonderful sponsor for August and it's an Anything Goes challenge. 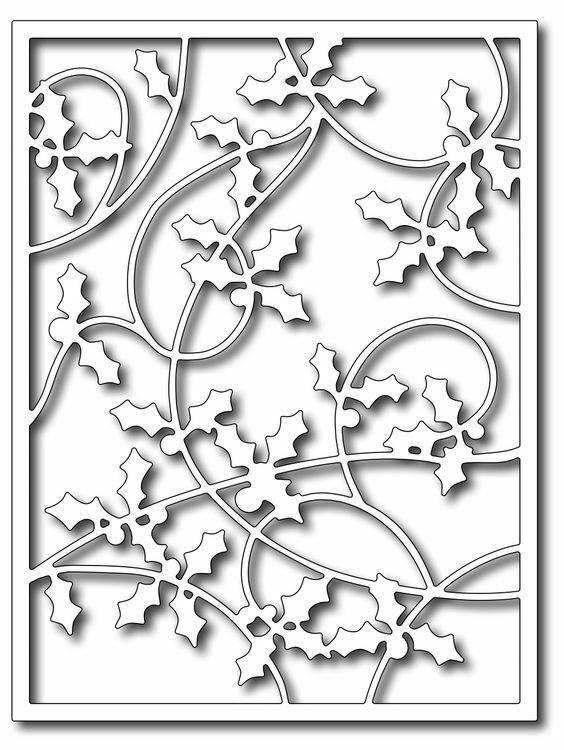 I'm ready to make my Christmas cards. Are you? 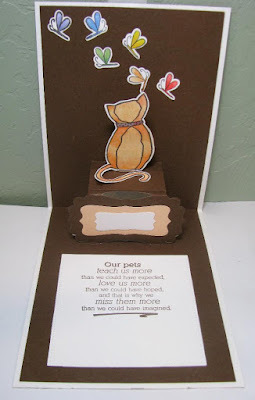 The inside sentiment says "Our pets teach us more than we could have expected, love us more than we could have hoped, and that is why we miss them more than we could have imagined." So true. 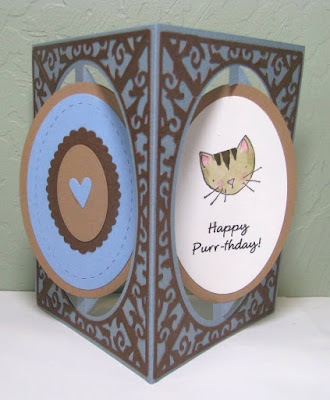 I used the "Purr" stamps and dies for the cat & butterflies, and Lucy Label Pop up die for the card base. For more information on this card you can visit me here. Monika here to share my baby card with you today. Please check out the HUGE amount of dies, stamps, embellishments, etc. they carry-it's staggering! 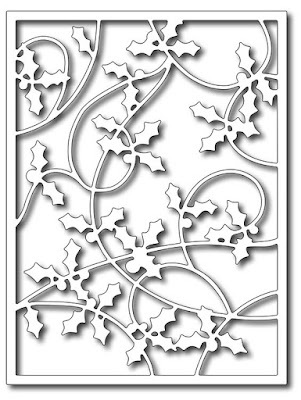 The prize this month is this Holly Die, measuring 5" x 3.75", and valued at $25.99! Please contact us at thedcdivas@gmail.com so we may make arrangements to get your prize to you. Congratulations! The colors and expression on this face is priceless. 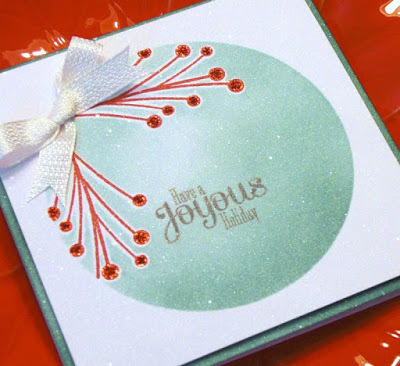 Michelle just loved Autumn's ornaments, and wants to make them for friends and family! 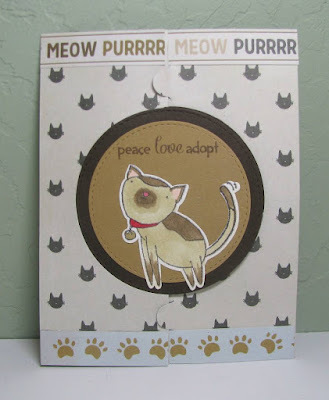 Dawn liked this card from Greta. - The CAS look using a circle die to make a stencil is an innovative idea. Monica's pick is this card from Stamping Kitty- I'm a sucker for plaid and I love the adorable image she used, as well as the snowflake embellishment by the ribbon! Hi there my friends... August is upon us.. And it's time for some fun... An Anything Goes August. 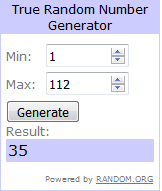 Prize:: $25 gift certificate will be mailed to the winner. Here are some DT projects to enjoy! Arlene chose tea time because she loves tea time. Arlene at A Bit of This and That. 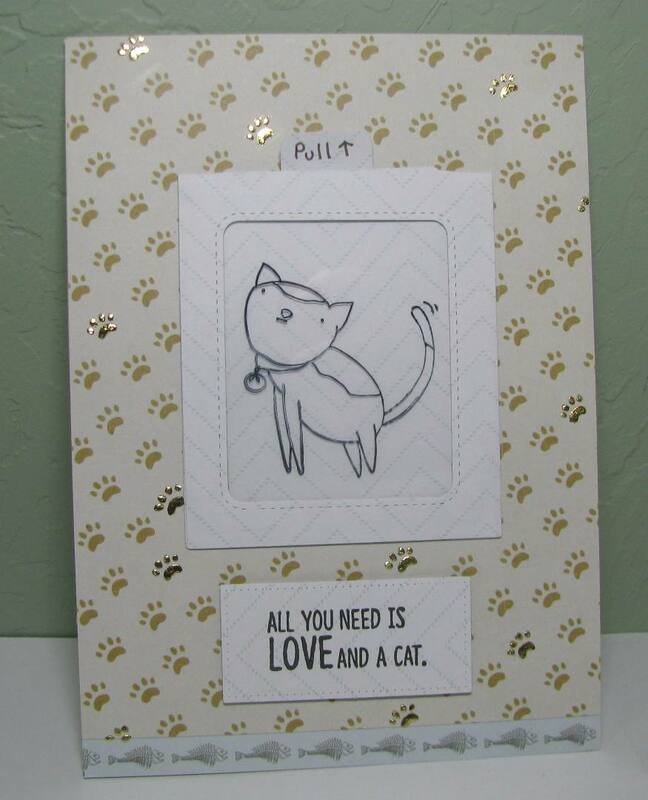 Michelle chose Purr, because she makes a lot of cat cards for her brother & friends!